Are you one of those adults who claims to be unable to draw a stick figure? If so, you may be perplexed when thinking of how to homeschool art instruction. Many parents feel they can handle reading, writing, and arithmetic, but when it comes to more creative pursuits such as art or music instruction, they may find themselves at a loss. Adding creative expression to your homeschool doesn’t have to be difficult, even if you don’t feel particularly creative yourself. As a matter of fact, art (and music) can be one of the most exciting and relaxing homeschool subjects to learn alongside your student. Visual arts also includes other artistic disciplines that we may not initially consider when thinking of art, such as jewelry-making, filmmaking, photography, and architecture. Art appreciation. Art appreciation is developing a knowledge and appreciation of the qualities that comprise great and timeless works of art. It includes the study of the different eras and styles of art, along with the techniques of various artists. It will include study of various works of art and training the eye to see the nuances of each. Art history. Art history is the study of the development of art – or human expression – through history. It will include a study of artistic expression throughout various periods in history and how the artists of the period were influenced by the culture around them – and perhaps how the culture was influenced by the artists. With so many different types of artistic expression, finding art instruction is usually just a matter of asking around. Art studios and museums. Check with local art studios and museums to see if they offer classes or workshops. This is especially likely during the summer months when art day camps may be available. Continuing education classes. 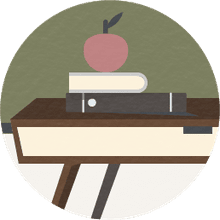 Inquire at your local community college or check their website for continuing education classes – online or on campus – that may be available to the community. Homeschool co-ops. Homeschool co-ops are often an excellent source for art classes since many co-ops focus on electives, rather than core classes. Local artists are often willing to teach such classes if your co-op is willing to host them. Online lessons. There are many online sources available for art lessons – everything from drawing to cartooning, watercolor to mixed media art. There are countless art lessons of all varieties on YouTube. Book and DVD lessons. Check your local library, bookseller, or art supply store for book and DVD art lessons. Friends and relatives. Do you have artistic friends and relatives? We have some friends who own a pottery studio. We once took art lessons from the friend of a friend who was a watercolor artist. A friend or relative may be willing to teach art to your children or a small group of students. With a few simple adjustments, you can seamlessly weave art into the other activities in your homeschool day. Keep a nature journal. Nature journals provide a low-key way to encourage artistic expression in your homeschool. Nature study gives you and your family an opportunity to get outside for some sunshine and fresh air while providing plenty of creative inspiration in the form of trees, flowers, and wildlife. Include art in other courses, such as history, science, and geography. Include art and art history in your history and geography studies. Learn about the artists and type of art that were popular during the time period you’re studying. Learn about the style of art associated with the geographic region you’re studying since most regions have a particular style for which they are known. Draw illustrations of the scientific concepts you’re studying, such as an atom or an illustration of the human heart. If you’re studying biology, you might draw and label a flower or a member of the animal kingdom. Purchase curriculum. There is a wide variety of homeschool curriculum available to teach all aspects of art – visual art, art appreciation, and art history. Shop around, read reviews, ask your homeschool friends for recommendations, then, make art a regular part of your homeschool day (or week). You may wish to choose loop scheduling to include it or make some simple adjustments to make time for art in your homeschool day. Include creative time each day. Offer your children time to be creative each school day. You don’t have to do anything structured. Simply make art and craft supplies accessible and see where your creativity takes you. Get in on the fun by sitting down and creating with your children during this time. Studies have suggested that coloring helps adults combat stress, making adult coloring books wildly popular right now. So, spend some time coloring with your children. You could also paint, draw, sculpt with clay, or recycle old magazines into creative collages. Do art while doing other things. If your kids have trouble sitting quietly during read-aloud time, occupy their hands with art. 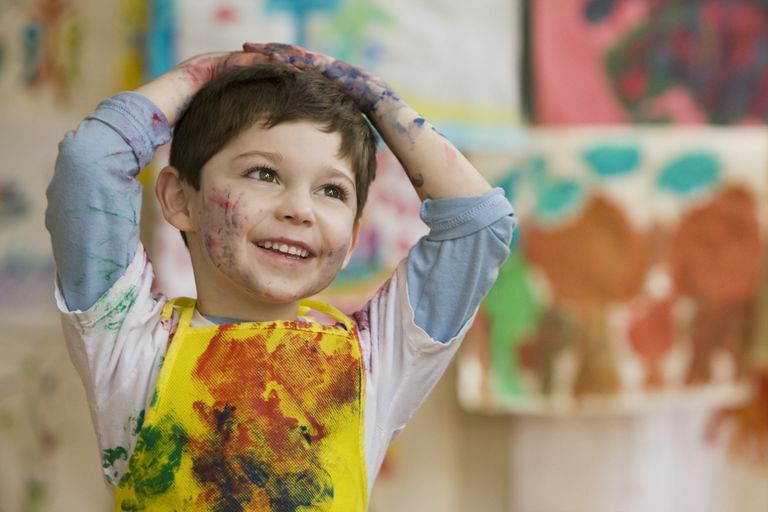 Most types of artistic expression are relatively quiet activities, so your children can create as they listen. Combine your study of art with your study of music by listening to your favorite composers during your art time. There are a wide variety of resources for art instruction available on line. Following are just a few to get you started. NGAkids Art Zone by the National Gallery of Art offers a variety of interactive tools and games to introduce kids to art and art history. Met Kids The Metropolitan Museum of Art offers interactive games and videos to help kids explore art. Tate Kids offers kids games, videos, and fresh ideas for creating art. Google Art Project provides the opportunity for users to explore artists, mediums, and much more. Art History Basics by Kahn Academy introduces students to art history with a variety of video lessons. Art for Kids Hub offers free videos along with a variety of art lessons in different media, such as drawing, sculpting, and Origami. Mixed Media Art Workshops by Alisha Gratehouse features a variety of mixed media art workshops. Homeschooling art instruction doesn’t have to be complicated or intimidating. On the contrary, it should be fun for the whole family! With the right resources and a little planning, it’s easy to learn how to homeschool art instruction and include a bit of creative expression in your homeschool day.